This is Sandra Tsing Loh with the Loh Down on Science, and some surprising news about beards. 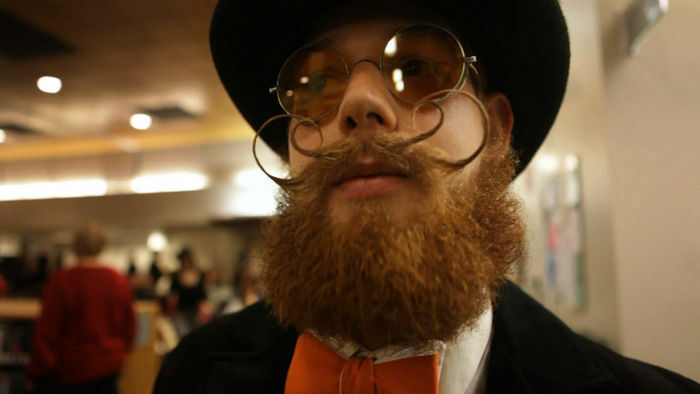 British scientists wanted to know if beards were spreading bacteria in hospitals. Why? Because hospital-acquired infections cause thousands of preventable deaths each year. So they swabbed the faces of around four-hundred male healthcare workers. Both with and without facial hair. Surprising twist? The clean-shaven mugs were more likely to harbor germs. Including a nasty drug-resistant form of Staphylococcus bacteria. It’s common in hospitals. The researchers think shaving might produce tiny abrasions in the skin. These little nicks and scrapes could provide a breeding ground for germs. Some British medical journalists did an informal follow-up study. They swabbed a bunch of beards, then sent the samples to a microbiologist at University College London. Result? One species of bacteria grown from the samples killed other bacteria. Like a dangerous drug-resistant form of E. coli. Beards for the win again! Or at least beard bacteria. Which sounds so romantic. Ew.